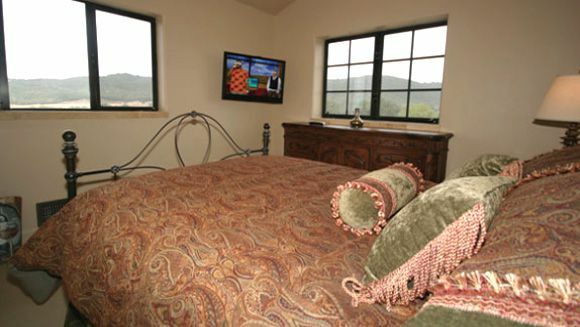 High above the valley in the hills on the West side of Paso Robles, Villa Nel Mondo Bed and Breakfast offers a stunning 360 degree view of the Paso Robles wine growing area. Enjoy breathtaking views from every window. 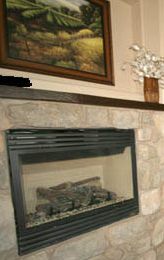 Just five miles from downtown shopping and dining. Minutes from the Eastside Wineries. 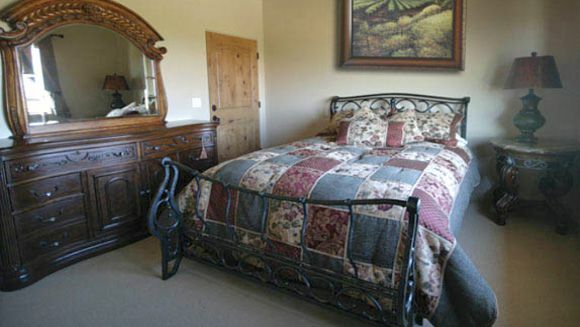 Feel the wine country atmosphere surrounded by private gardens, grape vines and the winery. Have meals or wine on the patio at sunrise or under the brilliant stars of the evening sky. 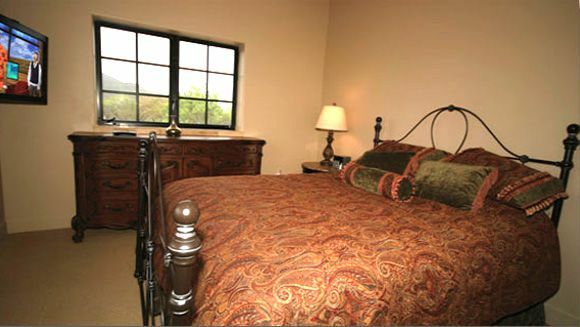 The Venice Suite is an upstairs suite ideal for couples traveling together. 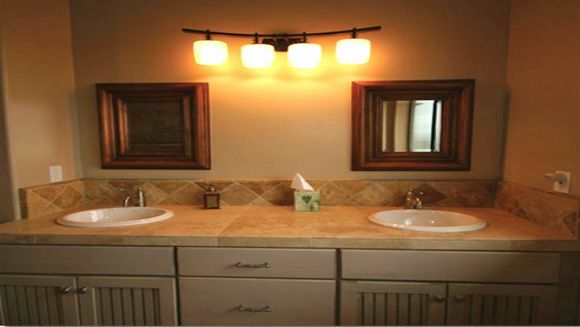 It is a two- bedroom, one bathroom suite with separate entrances. 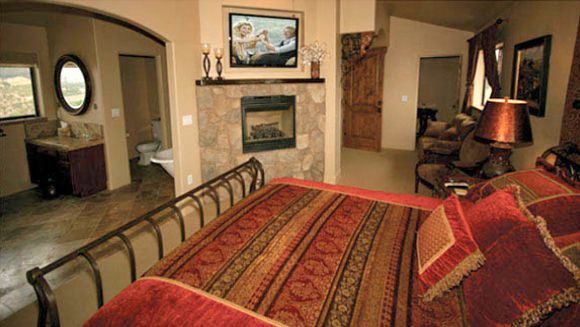 Each bedroom has a 32-inch plasma TV and both share a common sitting room and detached bathroom with shower. Each chamber has fantastic views of the countryside. 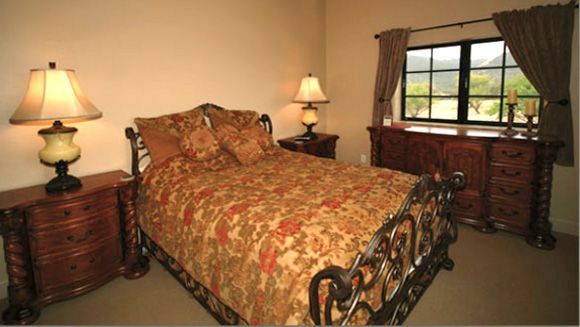 Note: $50.00 per person, per night additional charge beyond 2 guests. 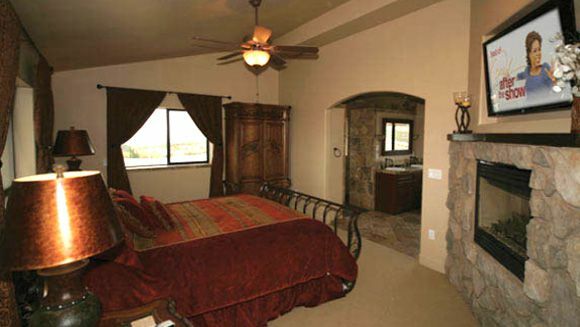 The Tuscany Suite is the largest of the Villa suites. 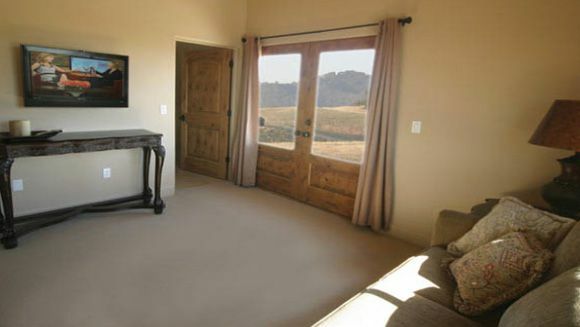 It is a secluded upstairs suite offering a romantic getaway with stunning views of the Paso Robles wine country. 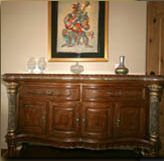 Amenities include a King-size bed, oversized shower, vanity, antique claw foot tub, a romantic fireplace and a 40-inch Plasma Television. 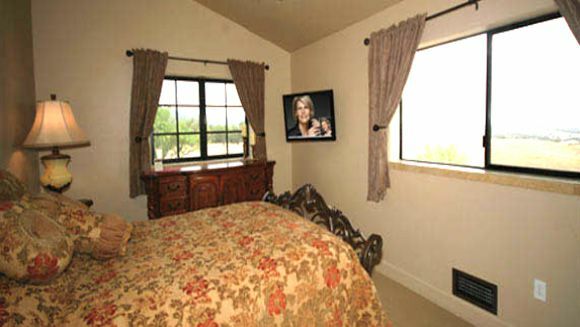 The Naples Suite is a downstairs suite that offers a queen-sized bed, private bathroom, two spacious closets and a private sitting room with a 32-inch plasma TV. It has a private entrance from the grounds, gardens and patios. Beautiful views out every window! 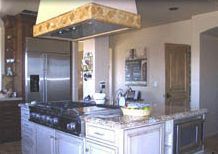 Villa nel Mondo was designed to make you feel at home. There is a cozy living room for relaxing with other guests, a sitting room off the kitchen for breakfast and afternoon snacks and large patios to lunch or enjoy a bottle of wine while you watch the sun go down. A breakfast of hot and cold cereals, fruits and a variety of oven-hot baked goods is served every morning. 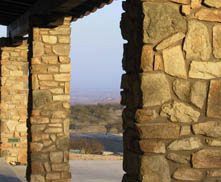 Take a hike through our 80 acres of rolling hills, canyons and gardens while admiring the expansive view. 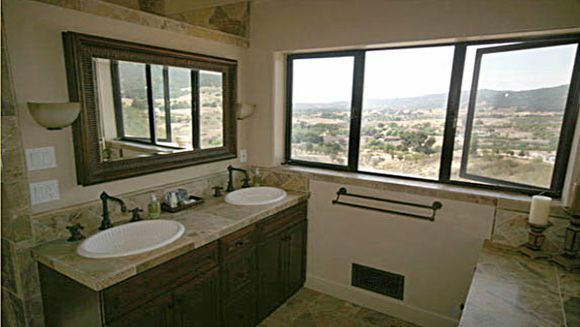 Be refreshed by the clean bracing air of Paso Robles as you walk through nature. And nature often includes a small herd of wild deer or wild turkeys. The surroundings are truly a wonder.Guests checking-in on a Friday (April-October) are welcome to join the "Mondo Cellars Sunset Happy Hour" event. Our Friday night "Sunset Happy Hour" events are open to the public and typically take place between the hours of 5 - 9:30 PM every Friday evening, April through October.
. Continental Breakfast featuring homemade baked goods is provided each morning.
. Check-in : 3 – 6 PM, unless other arrangements have beenmade.
. Check-out : 11 AM.
. MasterCard or Visa is required to hold the room.
. 2 weeks notice of cancellation is required.
. Credit card will only be charged if we are unable to re-book your room.
. When your reservation is confirmed, you will be guaranteed a room at the quoted rate.
. We cannot refund room nights for early departures.
. Villa nel Mondo is designed and operated for an adult clientele seeking a romantic and tranquil atmosphere, and is therefore unsuitable for children under 16 years of age.
. For the health and courtesy of all guests, ours is a non-smoking property.